Exploring Corporate Responsibility A market research project generated by W&L students is helping a Danish company to align its initiatives with the UN's Sustainable Development Goals. Novo Nordisk, a global health care company, has released a market research project that was generated by four W&L students during a Spring Term course in Denmark. The report was released in connection with the publication of the company’s annual results for 2018. 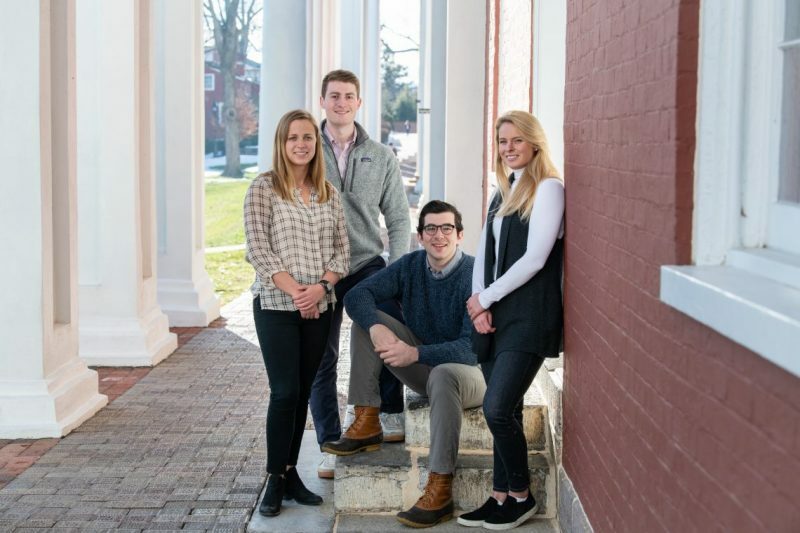 Andrew Agrippina ’19, Elle Chancey ’19, Austin Jennings ’19 and Jordan Watson ’19 conducted the project during Spring Term 2018 as part of a course called Corporate Social Responsibility (CSR) Practicum. The project-based course explores the concepts of CSR and sustainability as practiced in Denmark, where Novo Nordisk is headquartered. 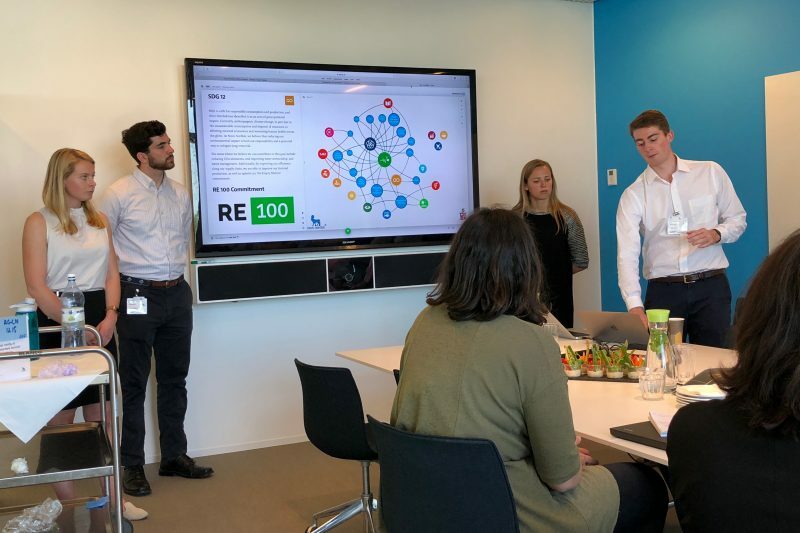 The students worked for the company for four weeks, creating a map that presented how it interacts with the United Nations Sustainable Development Goals (SDGs). The SDGs are a universal call to action to end poverty, protect the planet and ensure that all people enjoy peace and prosperity. Novo Nordisk’s key contribution is to discover and develop innovative biological medicines and make them accessible to patients throughout the world. The company aims to drive change to defeat diabetes and other serious chronic diseases. 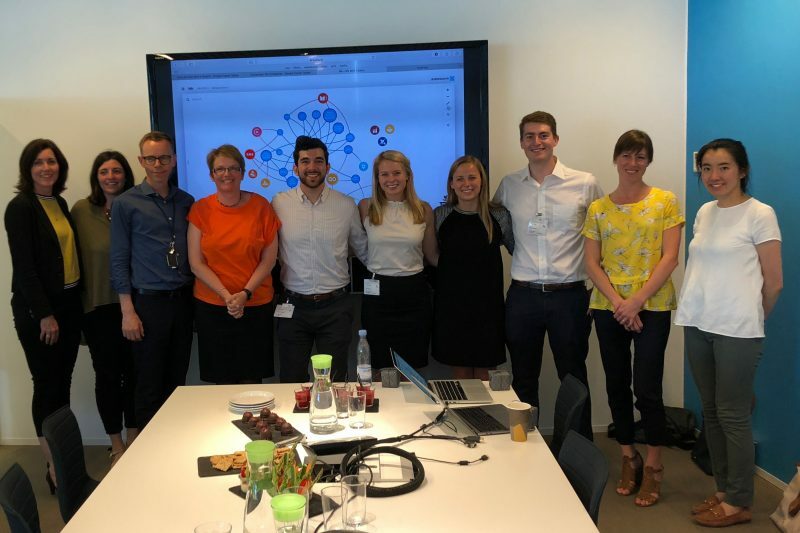 Anne Gadegaard, associate director and senior advisor for corporate sustainability at Novo Nordisk, came up with the idea of visualizing the connections between the company’s initiatives and the SDGs. The students then created an advanced model using Kumu, a data visualization platform. W&L students (standing) present their research project to the team at Novo Nordisk. The map created by the students works as both an external and internal communications tool that helps the company see what initiatives it is doing and which SDGs those initiatives align with “so that they can see where they might be lacking in trying to work towards achieving some of these SDGs and direct initiatives and projects there,” said Chancey. The four students, who come from interdisciplinary majors, went to Denmark with different goals in mind. Jennings, a math major, looked forward to a Spring Term abroad opportunity during his junior year that would enrich his career interests. “It just looked like a great fit in terms of getting that consulting experience in an area that I wasn’t familiar with,” he said. Watson, an economics major, talked to students who had very positive experiences in the course, and she thought the real-world experience of working for a client would help with her job applications. In addition to their academic achievements, these four students are also active on campus. Agrippina is a first-year residential adviser and chairman of the Student Judicial Council, and has been a university track and field athlete for three years. Jennings is the president of University Singers and was on the swim team for two years, while Chancey and Watson have been on the swim team for all four years and are currently on its senior leadership board. The two course instructors, Williams School Dean Rob Straughan and Associate Dean Elizabeth Oliver, also helped students when they were working on the project. They traveled to Copenhagen before Spring Term to set up and stayed for one week to guide students. They went back during the last week to help students do their presentation. Straughan said he’s very satisfied with the results of the students’ project. Washington and Lee students Andrew Agrippina (fifth from left), Elle Chancey (sixth from left), Jordan Watson (fourth from right) and Austin Jennings (third from right) pose with the Novo Nordisk team following the presentation of their market research project. The students said this experience is valuable to their career development. “It was a taste of what a real consulting engagement would be like in that we were totally on our own to interface with the client,” Agrippina said. Employees at Novo Nordisk said they have been enjoying working with W&L students and are satisfied with their contribution.